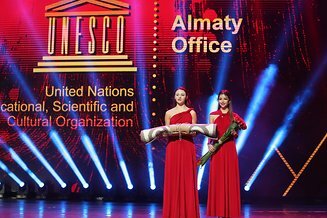 The UNESCO Almaty Office partnered in the organization of the first international Almaty Film Festival held in Almaty, Kazakhstan, from 15 to 19 September 2018. In addition to the participation in the round table discussions on how the film industry can contribute to the sustainable development of cities on 17 September, UNESCO gave a recognition award to a documentary film in the section “Cultural and Natural Heritage, Tourism and Sport”. The six documentary films selected in this section highlighted important aspects about the beauty, fragility and dangers to the diversity of cultural and natural heritage. 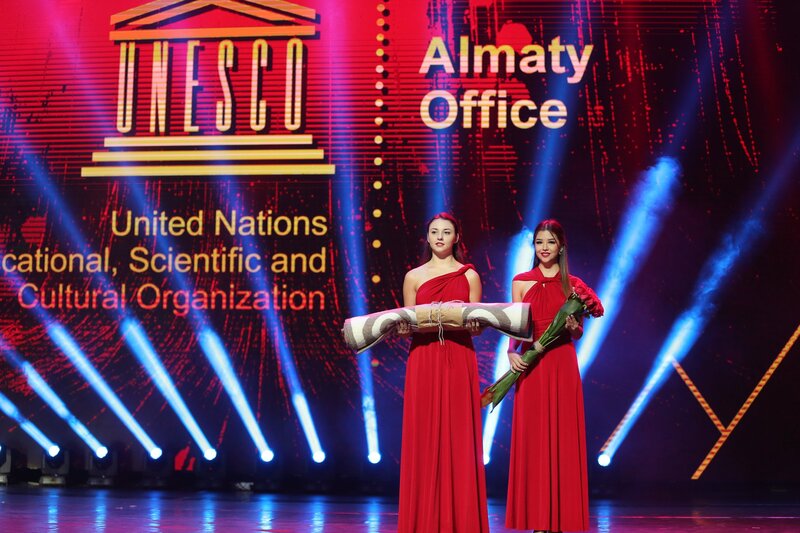 They were thought-provoking and conveyed messages about the urgency for humankind to live in harmony with nature, to safeguard the diversity of cultural traditions. 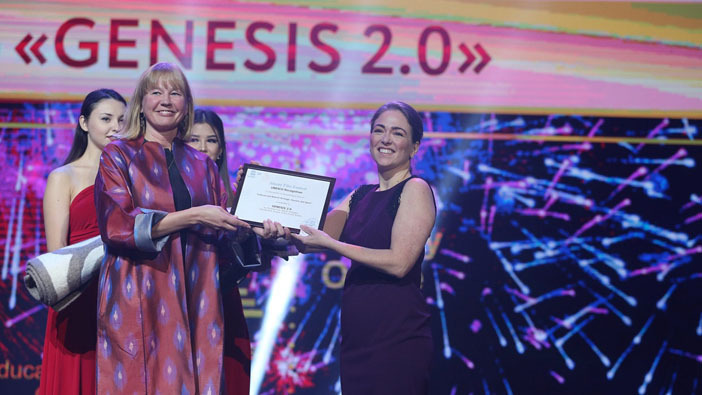 The UNESCO Almaty award went to the documentary film Genesis 2.0 (Switzerland, Russia, China, South Korea) and the prize – a handmade felt carpet made by the best Kazakh masters – was handed over by UNESCO Representative Krista Pikkat at the closing ceremony of the festival on 19 September. The making of these felt carpets is a tradition, which goes back many centuries and is closely linked to the everyday life of nomad tribes in Kyrgyzstan and Central Asia. However, in the modern globalized world, this traditional art is under threat of disappearing. As such, it symbolizes the importance to safeguard and protect our cultural and natural heritage so that we can transmit this heritage – in its richness and diversity – to our children and the future generations.